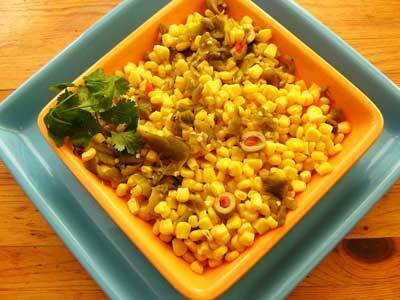 This colorful and easy-to-prepare dish is an unusual way to serve corn that your guests will love. Use hotter chiles if you want a kick. These enchiladas are always popular at a party. The tortillas can be filled and the sauce prepared ahead of time. 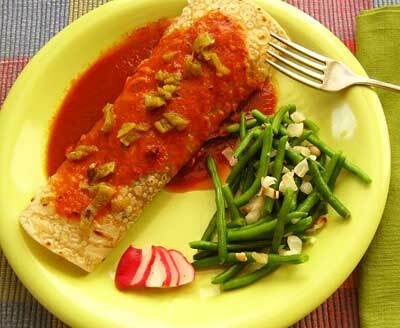 For spicier enchiladas, use hotter chiles. 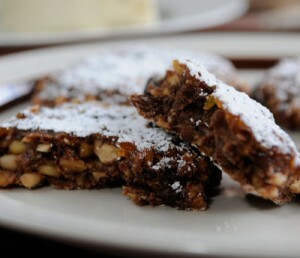 This is the delicious and moist Italian answer to English and American fruitcakes. 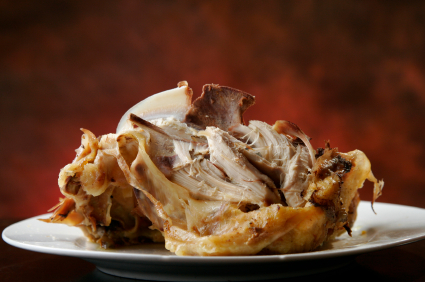 Here’s what to do with that sad-looking turkey carcass that keeps staring you in the face after you’ve de-fleshed it. You can do the same thing with chicken parts, trimmings, and carcasses. It’s a classic stock from the French school, and may be reduced further to intensify the flavor. It freezes very well. If you’ve been buying bullion in cubes or cans, do yourself a favor, reduce the sodium content, and make this stock from scratch. Breaking the turkey bones releases marrow and adds flavor. 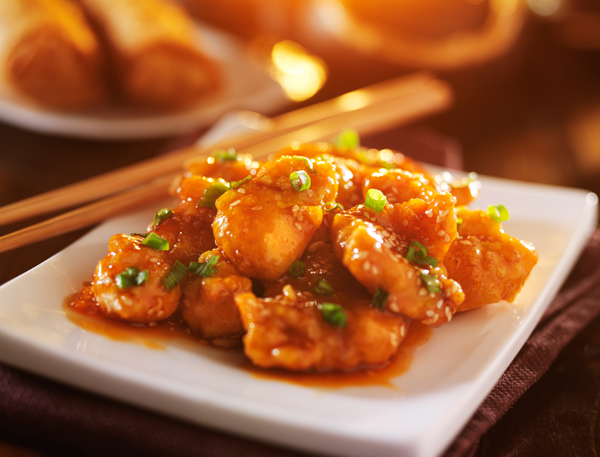 It is not hot and spicy in this form, but you can add chile powder or a hot sauce to taste if you wish.